Morning Pointe had a very pleasant atmosphere. The cleanliness and maintenance were excellent. They had assisted living and memory care, which is what we wanted for Mother. The staff seemed to have a good grasp of memory care. It had a nice atmosphere, and a steady listing of activities. I would recommend considering it for your family members. The best way to get to know a community is by scheduling a tour. See the facilities, meet the staff and residents, and get a feel first hand what it's like to live at Morning Pointe of Hixson Assisted Living. Conveniently located next to Hixson High School and just down the road from Northgate Mall in Hixson, Tennessee, a suburb of Chattanooga, Morning Pointe of Hixson is a single level state-of-the-art assisted living community situated on twenty acres offering 53 spacious apartments with multiple floor plan choices. The facility also offers an additional 16 apartments in The Lantern Alzheimer's Memory Care program, a separate, secure wing of the building. At Morning Pointe you will find assistance with medication, transportation to appointments, delicious meals... whatever your loved one needs and whenever they need it, Morning Pointe is here serving the greater Chattanooga area. Morning Pointe can help manage the uncertainty of caring for an aging loved one, while enhancing their independence. At Morning Pointe, trained staff listen to learn the resident's preferences and needs. Each care plan is tailored to assure dignity and enhance quality of life. Individual care plans are reviewed regularly and when necessary are coordinated with outside medical providers allowing the residents' ever changing needs to be met today and in the future. Licensed nurses at Morning Pointe work closely with the resident's family and physicians to understand changing medication needs. Our licensed nurses oversee medication management ensuring your loved one takes the correct medication at the right time. 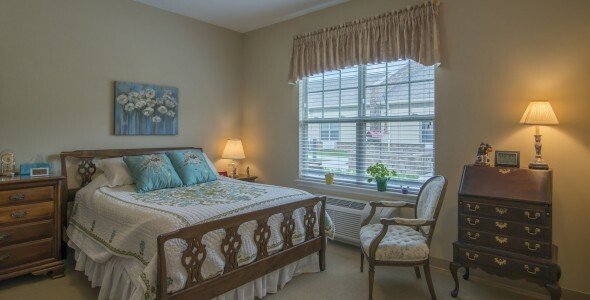 In The Lantern Alzheimer's memory care program at Morning Pointe, the staff nurture and maintain each resident's individuality, dignity and quality of life through our Meaningful Day program. By investing time and attention in understanding roles, routines, life experiences and interests of each resident,The Lantern team of professionals create an environment that truly enhances the quality of life. Eating right doesn't have to be hard. At Morning Pointe, our staff work closely with the residents to understand their preferences and create an ever changing menu that includes seasonal fruits and vegetables. A wide variety of nutritious entrees and always available alternate items create a dining experience that is full of choices. Social interaction is one of the keys to healthy aging. At Morning Pointe, our staff listens to understand individual interests and past experiences to help build a Life Enrichment Program that includes a wide variety of activities, giving a sense of purpose and creating meaningful days. Come See the Difference at Morning Pointe!